Next weekend will be a most important one in Mullinahone. Two events of major importance will take place. The Annual Kickham Country Weekend will take place from Friday night to Sunday afternoon and on Sunday the parish will mark the Golden Jubilees of two Mullinahone nuns, the Crowley sisters from Kilvemnon. Back in the mid 1950’s Will Crowley died. His wife, Mary had pre-deceased him at the age of 35 in 1949. 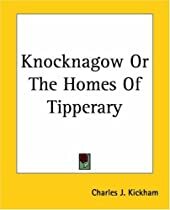 The 6 Crowley children (3 boys and 3 girls) were then divided out between relatives with the girls having to leave Kilvemnon. Sr. Agnes and Sr. Maria became nuns and their brother, Joe, joined the Patrician Brothers. Joe died in Australia in 2004. Rena, the third sister and Liam are still hale and hearty in the Powerstown-Lisronagh and Carrick-on-Suir areas, while many locals remember Michael who stayed at home in Kilvemnon with fondness. Sisters, Agnes and Maria celebrate the Golden Jubilee of their religious profession in St. Michael’s Church on Sunday next, August 9th at 11.30am Mass. We would like to see every family represented at this event. The Kickham Country Weekend will be launched on Friday night by Dr. Proinsias O Drisceoil at 7.30pm. A lecture on the first biographer of Charles Kickham “Michael Kavanagh” follows. Saturday afternoon sees the annual bus tour, this time of the Templeorum area and the farm of Mrs. Mary O’Shea. A second lecture on “Old Kilcash” on Saturday night and Sunday sees the oration at Kickham’s grave by author Jim Maher. The weekend concludes with the poetry reading in Killaghy Castle on Sunday afternoon with guest poet, Michael Coady, Carrick-on-Suir. Locals have been concerned with the amount of lime in the local water supply for the last 6 to 8 weeks. This is certainly long enough to do damage to electrical machines such as kettles, washing machines and dishwashers. We believe that the limey supply comes from a local well which is brought into use with an auxiliary pump when the main supply fails and is out of action. Many locals think that the main supply has now been out of action for far too long. Since the start of the season, Mullinahone senior hurlers have shown considerable improvement over last season. Mid season, we got hit with trips to the USA and injuries. These combined to threaten our progress to a 2015 South final. First we lost the first semi-final to Killenaule, though we played rather well. On Saturday night last, in Fethard, we availed of our second chance in the semi-final to deservedly defeat Ballingarry by two points and qualify for another tilt at Killenaule in the final. We were lucky on Saturday that some of our injured have recovered sufficiently to play, though future fitness will have to improve. We started reasonably well and had built up a 4 point lead when through mistakes we conceded 1-01. A second Ballingarry goal gave them the initiative and half way through the second half, they had gone into a 3 point lead. We then hit 5 unanswered points as the pendulum swung towards us. In a tight finish, points were exchanged and we held on to our two point lead. Our lads lined out : Alan Walsh, Kevin Walzer, Paul Curran, George Browning, Enda Keane, Gary Cronin, Niall Curran, AlanCurran (capt), Kevin Bolger, Graham Horan, Sean Curran, Jack Shelly, Eoin Kelly, Paul Kelly, Micheál Dunne, subs used: Luke Mullally, Colin Shelly and Niall O’Brien. Management team: Adrian O’Sullivan, Johnny Kennedy and Franny Kelly. Our senior hurlers now face a crowded Autumn knockout programme with finals of Tipperary league “Dr. Fogarty Cup” on Friday night next in Templetouhy, the final of the St. Mollerans tournament, the South final and games in the County championship. Perhaps, a new wave of hurlers is on the way.The last few weeks have been good for Mullinahone at underage level. Under 16’s and under 14’s have had wins, but pride of place must go to our under 12’s who had 3 wins. During the week the team had a good 4-09 to 3-03 win over Killenaule. Kellogs Cúl Camp If you would like to take part in the upcoming Kelloggs Cúl Camp please contact the secretary or chairman of the C J Kickhams Juvenile Club Victor Direen/Sean O’Meara. Our retired postman, Joe Pollard was the recipient of a presentation from the local Community Council on Saturday night last. The esteem in which Joe was held was marked by the fine crowd who attended the presentation, even if it clashed with a major event “the hurling semi-final via Ballingarry”. Joe had been our ever helpful postman for the last 2 decades and was involved in the local public eye for long before that. The presentation was made to Joe on behalf of the local council by Eddie O’Meara, MCC, Chairman. Ann Pollard was presented with a bouquet of flowers by Mary Guiry, Secretary of the Community Council. Among the speakers were Fr. McGrath, P.P., who spoke of Joe’s concern on his rounds for older people and his happy disposition even in the face of sad news. Fr. McGrath also mentioned that Joe’s departure was yet another blow to rural living. He remarked that such as Joe could never be replaced by a drop and run postman. Others to speak well of our now ex-postman were Eddie O’Meara MCC, Jerry Barrett, former manager of Mullinahone Co-op and John Croke, local postmaster. The reception was attended by about 100 parishioners and a lovely tea was provided by the local committee. Our local lotto jackpot draw took place on Monday 27th July 2015. The numbers drawn were 4,14,16 and 27. There was no jackpot winner, but we did have three Match 3 winners. Congrats to Jeremiah Kiely, Aisha Tobin and the Fennelly girls who shared €150. Next draw will be on Monday next 10th August when the jackpot could be worth €12,700. If you want to win, you must first be in.